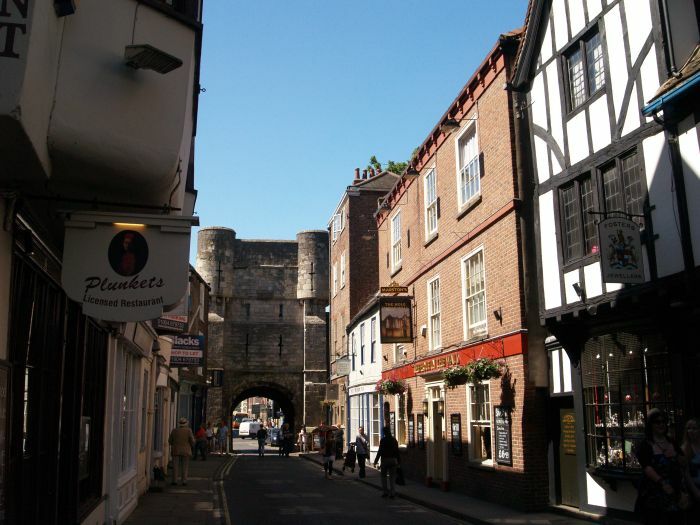 Bootham Bar (picture below), leading into Petergate, has been a gateway for 2000 years, and is the site of the Porta Principalis Dextra or North Western Gate of the Roman Fortress of which the foundations, rebuilt in AD 300 lie just below ground level. 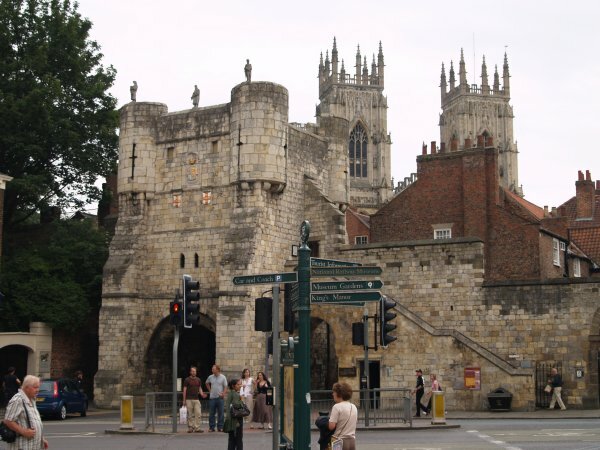 The earliest visible parts of this important medieval gate date from the 11th and 12th centuries. 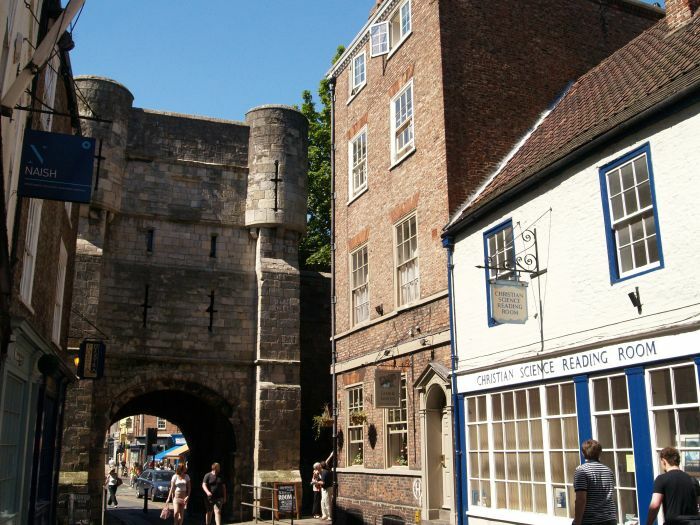 The walls between Bootham Bar and Monkbar enclose an area of the city called Minster Close. 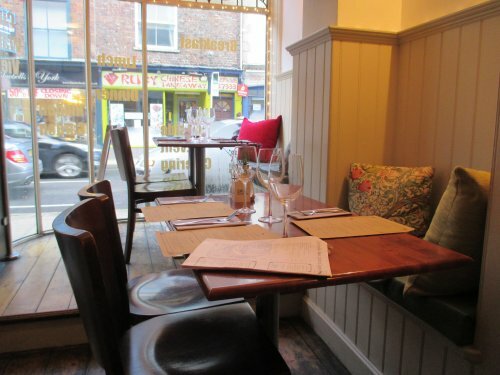 In medieval times this had its own laws, courts and prison and was known as the 'Liberty of St Peter'. 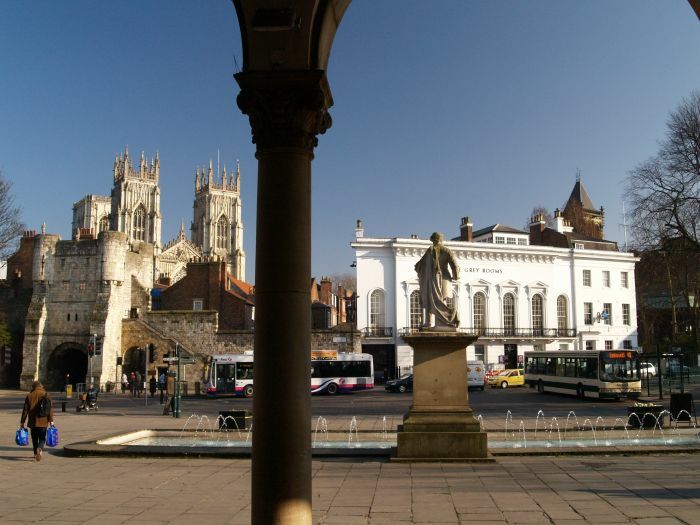 It contained the Archbishop's Palace (gone now!) 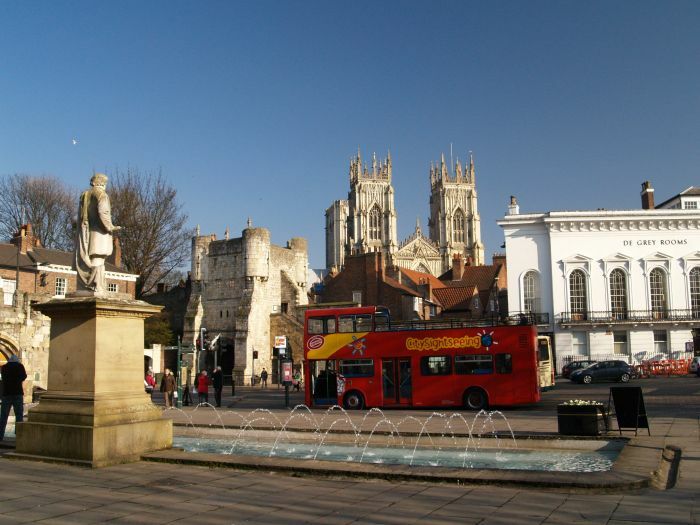 as well as the Cathedral whose twin west towers can be seen in the distance and it was governed by the Dean and Chapter of the Minster - not the city authorities! 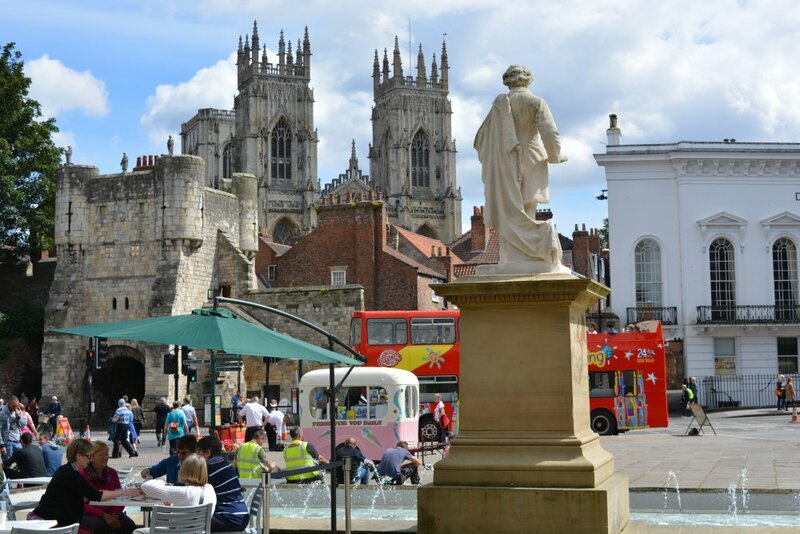 A fine view of the towers of York Minster from the steps of the Art Gallery on a lovely summer day in Exhibition Square. 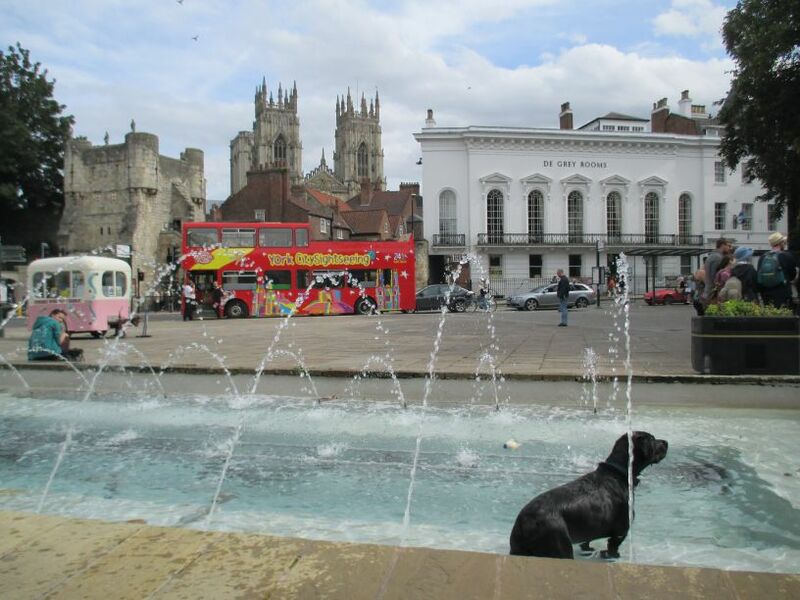 Exhibition Square: From left to right - Bootham Bar (gateway to Petergate), the west towers of the Minster beyond, the fine looking De Grey rooms, and in the foreground a dog playing in the fountains in front of the Art Gallery. 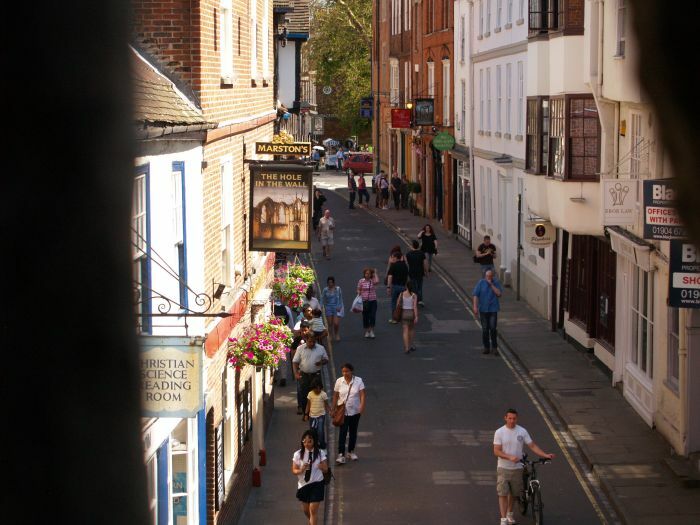 Above and below: Some of the pubs and restaurants in Petergate by Bootham Bar gateway -note the ancient walls and the overhang of a medieval house on the left. 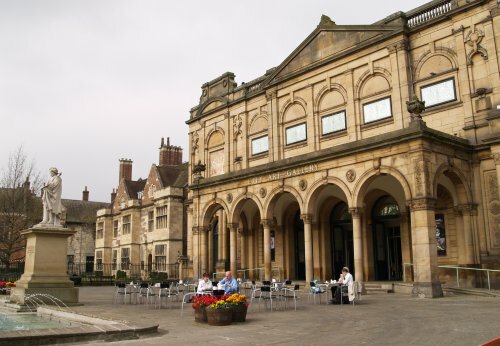 The entrance to the City Art Gallery. 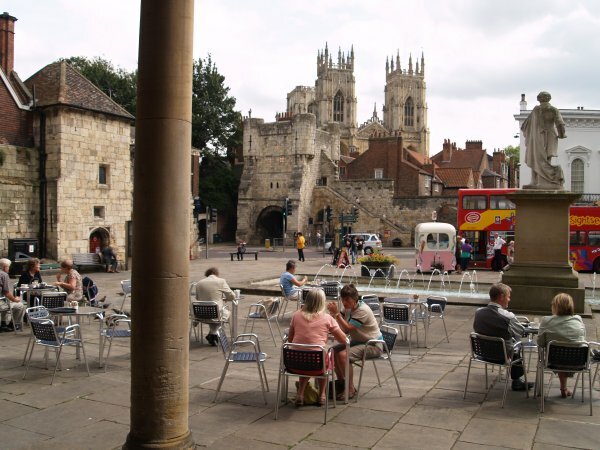 Bootham Bar (above) and the fine looking white buildings of the De Grey Rooms (below) viewed from the Art Gallery Cafe. 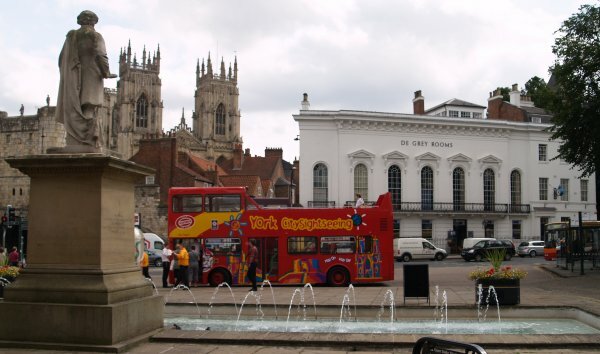 Looking across to the Minster, Bootham Bar and the de Grey Rooms from the entrance to the Art Gallery. 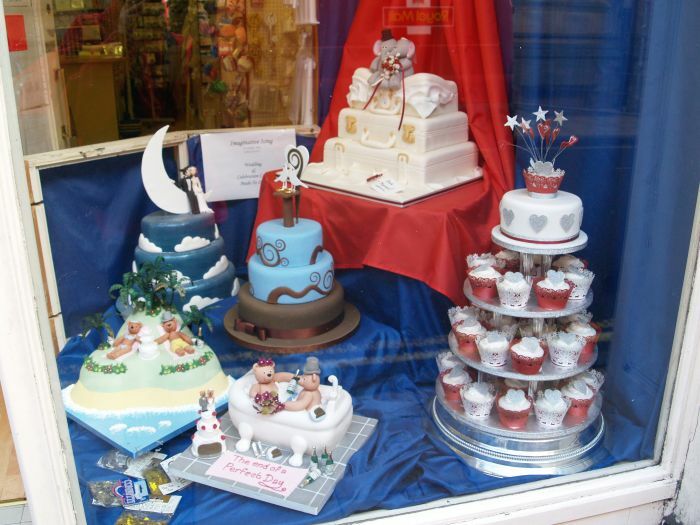 A delicious cake shop near Bootham Bar. 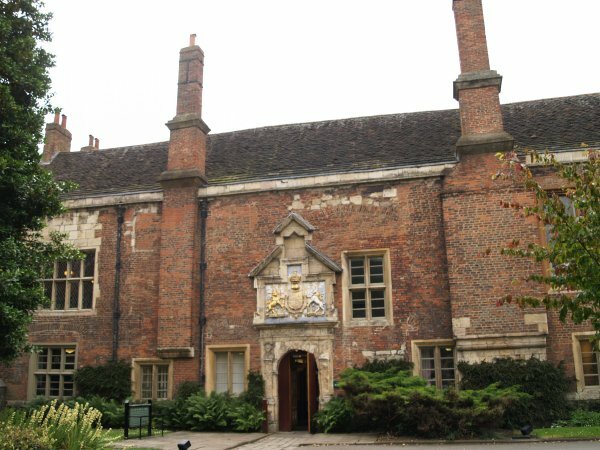 The entrance to the medieval house, the King's Manor. 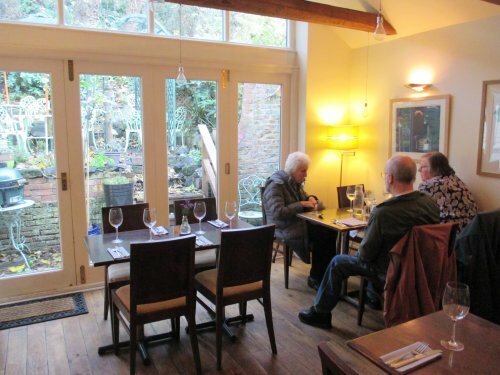 The original building from ~1270 was the home of the Abbot of St Mary's Abbey (see page 15) but was substantially rebuilt in the 15th C. After the dissolution of the monasteries Henry VIII in 1539 it was made the official residence of the King's Council of the North. 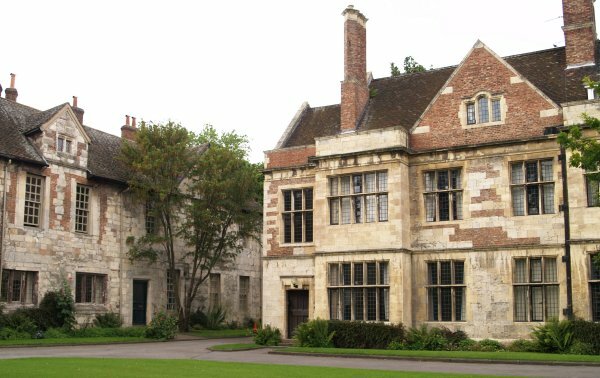 The Council was abolished in 1641 and after a variety uses it has finally become part of the University of York in a beautifully restored state (1963-1964). 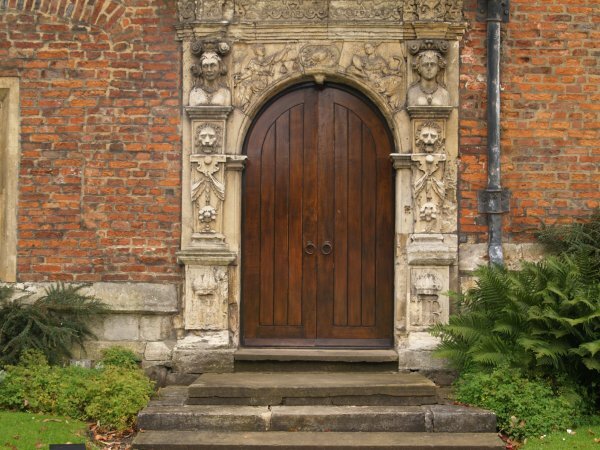 An interesting door arch to the right of the Kings Manor visitors entrance. 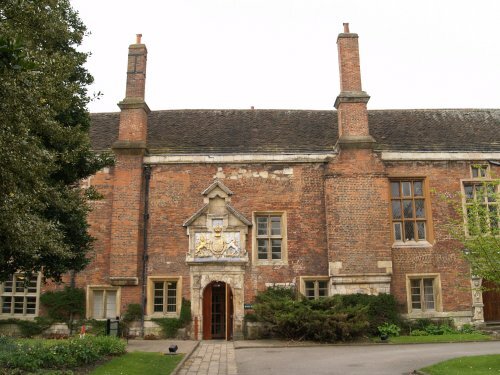 Above the entrance to the Kings Manor is the coat of arms of Charles 1st who stayed here in 1633 and 1639. 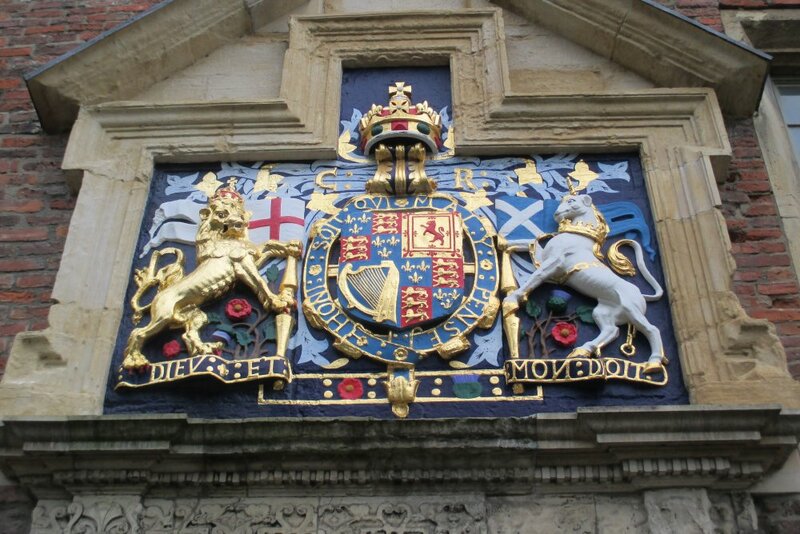 His father James 1st (James VI of Scotland) whose monogram appears in the doorway had introduced the unicorn the supporter of Scotland into the royal arms. The lion is the supporter of England and the two beasts hold lances with the flags of St Andrew and St George. 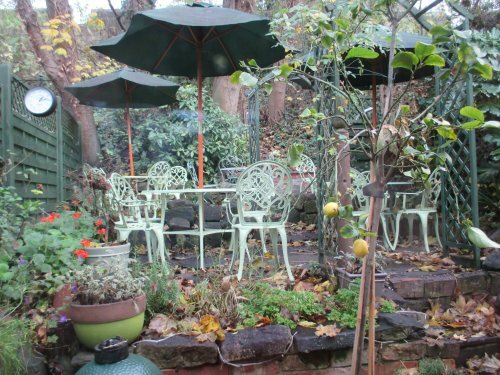 The fleur-de-lis of France and the harp of Ireland are also included. 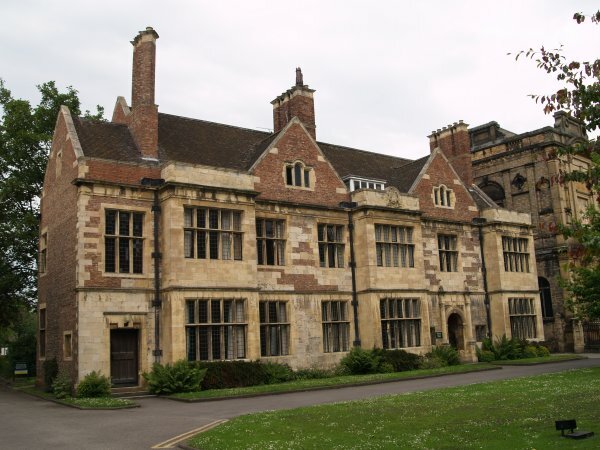 The several fine buildings associated with the Kings Manor. 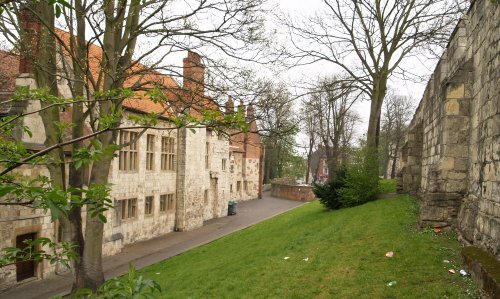 The buildings of the King's Manor on the left and the City Walls on the right. 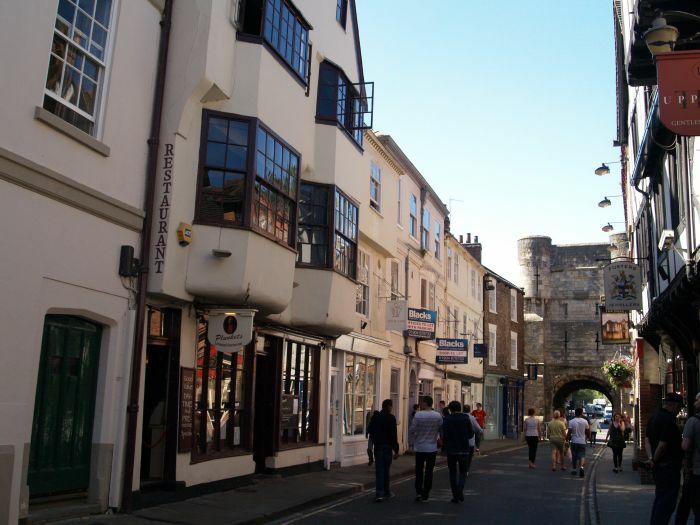 Confectionary shopping in Petergate near Bootham Bar! 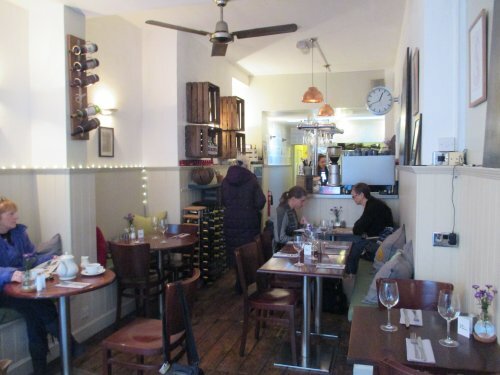 Cafes and Restaurants in the area. 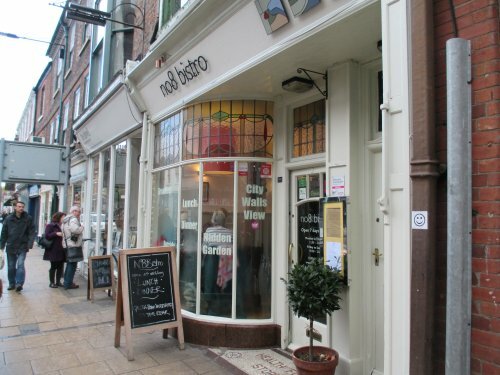 The No 8 Bistro Gillygate, York, is really nice place to eat and an interesting 'back garden' to dine outside in. 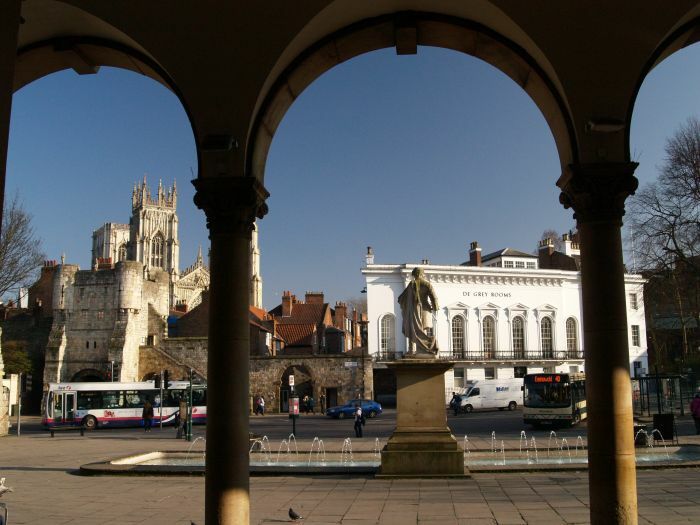 Enter place, feature, church, museum, building, street, walk, gallery, cafe, any feature of interest!